This is the 20th consecutive year Texas Mutual has paid dividends. By the end of 2018, Texas Mutual will have paid over $2.5 billion in dividends. Many policyholders also qualify for safety group dividends. A dividend is a financial reward for a Texas Mutual policyholder when we have a profitable year of business. 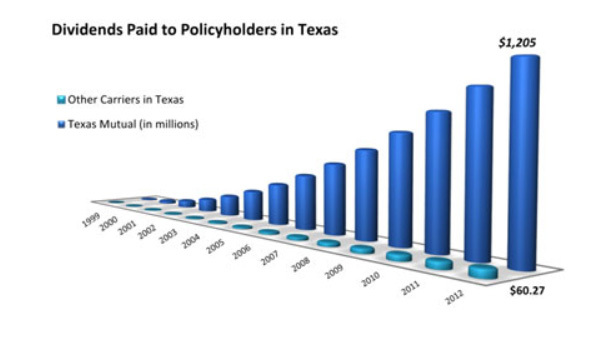 When an employer purchases a policy at Texas Mutual, they are not only buying financial security for themselves and their employees. They are also becoming owners in Texas Mutual. Our policyholders have the opportunity to receive dividends, just as stockholders of publicly traded companies do. Why not just charge less in premium? Dividends allow us to offer lower net premium than we would be able to simply by lowering the price up front. In addition, dividends give more control over the total cost to the policyholder because they are based on the policyholder’s loss experience. How can employers improve their chances of qualifying for a dividend? Is the dividend program guaranteed? Dividends are based on performance, are not guaranteed and must comply with Texas Department of Insurance regulations. 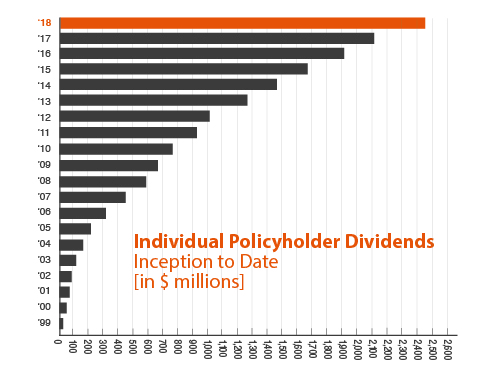 Texas Mutual has, however, distributed dividends 16 consecutive years. Annual Component. The annual component rewards current policyholders who had an acceptable loss ratio for their policy that expired in the previous calendar year. Early Qualifier Exception. New policyholders whose policy expires within the first six months of the current calendar year may qualify for an early, partial dividend payout in November. 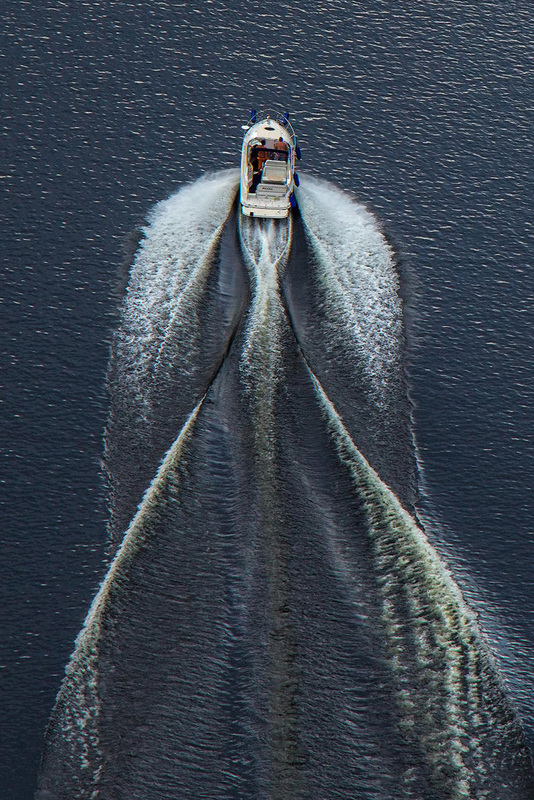 Retention Component. The retention component rewards current policyholders for up to five consecutive years of acceptable, combined loss ratios ending with the policy that expired in the previous calendar year. Some longtime policyholders have received increasing individual dividends because of the retention component. NOTE: Past dividends are not a guarantee of future dividends, and the Texas Department of Insurance must approve all dividend plans.